Antique sewing machine - Starley "Little Dorrit." The rare "Little Dorrit" chain stitch was designed and marketed in the UK by Smith & Starley during the mid 1870s. 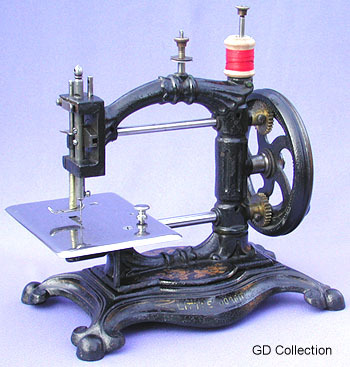 The proportions and mechanism of the machine are near identical to the big selling Original Express, made by the German firm of Guhl & Harbeck.